This is a question I get frequently asked and to be honest I don’t think Madeira is the easiest place to find exclusive Vegetarian Restaurants, however I do think Madeira has amazing vegetables and fruits which grow easily in the Island due to our fertile soil and climate, so I’m sure we can also offer delicious dishes with the help of our chefs. Neither vegans nor vegetarians eat meat. However, while vegetarians may consume dairy products and eggs, a vegan excludes all animal products from their diet. Although one of the most typical dishes in the Island is made with beef ‘espetada’ you’ll also find in a typical Madeiran Restaurant, fried corn cubes, sweet potatoes/potatoes, rice, mixed vegetables, tomato and onion soup (my favorite), salads (we always have tomato, lettuce, cucumber and onion salads as a side dish), bolo do caco (typical bread of Madeira that can be filled with anything you wish) and of course, delicious fresh fruits. Lupins, olives and peanuts are a also a typical treat served with drinks in any bar or restaurant. When it comes to full vegetarian/vegan meals, the challenge is bigger, yet I’ve put together a list of Restaurants with vegetarian/vegan options. This restaurant was an agreeable surprise to me. With a beautiful sea view balcony with aromatic herbs and flowers, you couldn’t be in better company. Roberto and Luis will prepare you excellent meals, not only vegetarian but also vegan, or even according to specific requests, like gluten or dairy free meals. The menu includes amongst others, Papaya and Madeira wine risotto, Avocado and tamarillo salad with a hot chilly sauce, stuffed sweet pepper with wild rice and sauteed vegetables and Sun dried tomato risotto. I’ve had the Crispy seeded bread filled with a chickpea, roasted pumpkin and organic tofu stew served with a confetti of ugly fruit and turnip. No wonder the reviews in trip advisor are so good…delicious, really. One of the favorites amongst locals is Kitchen mania. 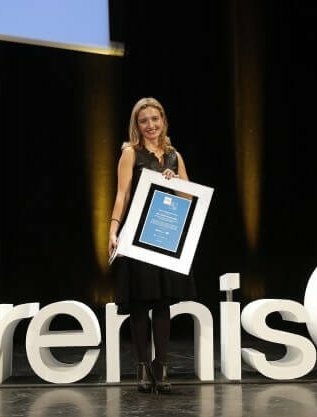 Grácia is the lady that started this restaurant 15 years ago in Funchal, as she herself experienced food allergies and felt the need to cook special food for special people. Their vegetarian options include vegetarian lasagna, cuscus with vegetable and vegetarian burgers. Their juices are freshly made and their soups have no additives. They make delicious vegetarian desserts too. They also sell special bread (spelled bread or rice bread with nuts), cakes or dishes according to your dietary requests. They occasionally host macrobiotic workshops to teach how to cook healthy meals. I know the name is not the most appealing to vegetarians but trust me when I say this lady cooks amazing vegetarian dishes, plus the prices are low budget. It’s a very tiny restaurant in the center of Funchal specially because it’s full of locals at lunch time, looking for tasty, home made food. Take way options are available. Try dishes like the vegetarian lasagna, the vegetarian pies and the tofu desserts. You can also order fresh juices. My favorite is the ginger-orange combo. Istanbul is all about turkish food, offering a rich sensory experience. The colors, the smell and the taste is unforgettable. They have a vegetarian menu where as starters they serve Falafels and aubergine stacks, as mains roasted bell peppers, and Halloumi cheese salad. This was one of the first Vegetarian options to exist in Madeira. They not only serve vegetarian meals but they also sell all kinds of vegetarian goods. It is located next to the Sé Cathedral. On the top floor is the shop/groceries store and on the ground floor the restaurant. In Indian gastronomy, you’ll always find many veggie options. This is the one we usually go to. It’s not expensive and has a nice atmosphere. Try the cauliflower or the spinach with rice and popadoms. Shu aka serves a lunch menu and a tasting menu for dinner with vegetarian and vegan options. A good option. All the times I came here I enjoyed it. Originally from Brazil, they serve great vegetarian and vegan wraps (accompanied by a nice smile) and fresh smoothies. Located in the old part of Funchal, you can sit outside, get some sunshine, listen to some music and enjoy an healthy meal. This recently opened restaurant is part of the beautiful Castanheiro Boutique Hotel. Their vegetarian dishes include tofu burger with mushrooms accompanied with sweet potato toothpick or courgette stuffed with Mediterranean salad pesto and walnuts. Located in Caniço de baixo, this Ayurveda Cure Center has a restaurant which serves Vegetarian and Vegan meals following the traditional Ayurveda medicine and philosophy of life. It’s better to book ( Telf: +351 291 930948) at least one day in advance, since all the meals are freshly prepared for that specific day. 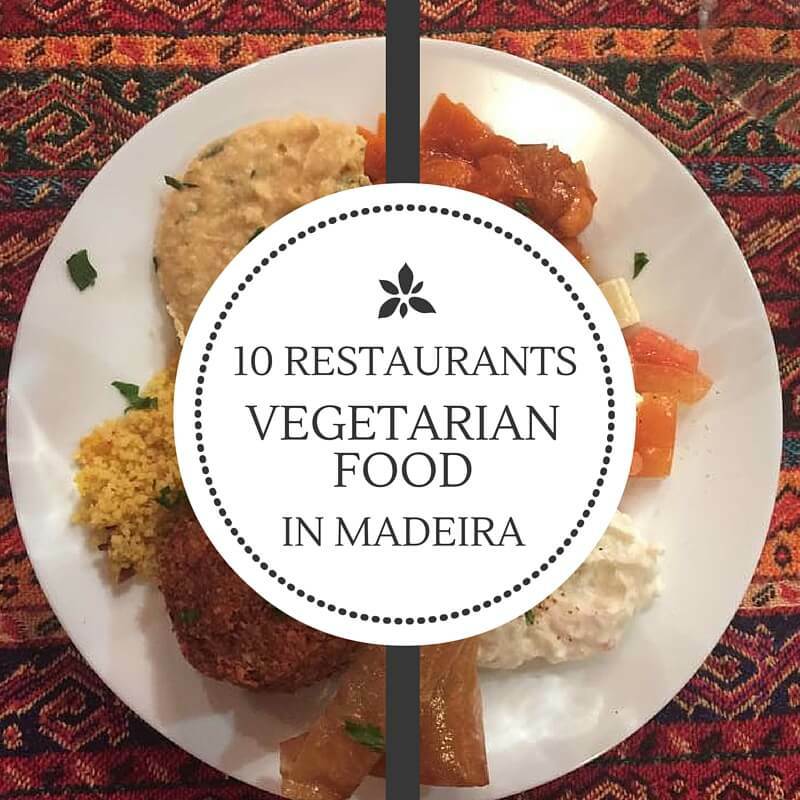 I hope you find this list handy to guide you through your vegetarian meals in Madeira. For more informations about the restaurants please click the name of each restaurant and you’ll be redirected to its facebook page. Enjoy and please share it with whoever might find it useful. If you know of any other options, you can leave a comment bellow. Don’t forget to book your hotel in Madeira. I leave you with a few options to choose from according to your preferences here. A Taberna Zezinho das Moças na Zona Velha tb servem tapas vegetarianas ou veganas se lhes pedirmos. A sopa é quase sempre de verduras. Obrigado pelas dicas, desconhecia alguns desses lugares. E posso acrescentar mais 2 com algumas opçoes vegetarianas, o espaço funchal que fica mesmo em frente ao Indian house, tem lasanha e canelonis vegan, e a hamburgaria do bairro tem hamburgers de tofu e de seitan. Na Hamburgueria do Bairro que fica em frente ao Casino da Madeira no menu há 4 Hambúrgueres Vegetarianos. No Atlantic Restaurant no Clube Turismo. O restaurante Atlantic, no Clube de Turismo da Madeira também tem várias opções vegetarianas na sua carta. Um post bem curioso e interessante! Obrigada! Agradeço o esclarecimento Gisela, já agora talvez me saiba responder, a Biologos encontra-se encerrada? Cheguei a almoçar lá algumas vezes e gostava muito, mas quando lá tentei ir recentemente estava fechado! O restaurante do Biologos era de excelente qualidade e deixa saudades, infelizmente o espaço do restaurante fechou mas a loja manteve-se e tem estado sempre a funcionar no mesmo local mas na cave. No restaurante Il Gallo d’Oro (hotel The Cliff Bay) está igualmente disponível um a la carte vegetariano. Boa tarde 🙂 Posso escrever essa informação no meu blogue (com os devidos créditos, claro)? Olá! Creio que o único de todos os citados totalmente vegetariano é o da Bioforma! Mas achei que os comentários privilegiam pouco ou nada o valor do espaço que está remodelado e situado no coração do Funchal. Restaurante O Forno In Ponta do Pargo serves excellent Vegetaran & Vegan options. Finally there is a restaurant outside of Funchal that has more choice for Vegetarians & Vegans, aside from the usual offered omelete and vegetable pasta!!!! It is great news for vegetarians staying in Porto Moniz or the Calheta area, or even people exploring the island by car! Normal non-veggie menu is also available with specials board that has new dishes added often. Homemade dessert board, childrens menu, and they also have a speciality prego (steak sandwich) menu – tasty! The vegetarian food options have also been mentioned on Tripadvisor by their customers. They also have a facebook page. Very helpful indeed! Thank you! PS: I think the name “HAPPY BURGER” comes from the fact the burgers she makes are vegetarian, hence they contain no meat. Happy Cows = Happy Burgers. I think that is the idea behind it! I love her empanadas made with homemade pastry (like in your picture)! This made me so hungry! Everything looks tasty! Thank you for your recommendations! Thanks for letting me know Mickle. I need to try it soon! O restaurante Gengibre, na Rua do Bispo e totalmente vegan, gluten free, etc. Previous PostA illustrated map of Madeira for kids!